Between punching polarbears and fending off the yeti here in the southern regions of the norselands, I drew some stuff for WB’s new Thundercats show. 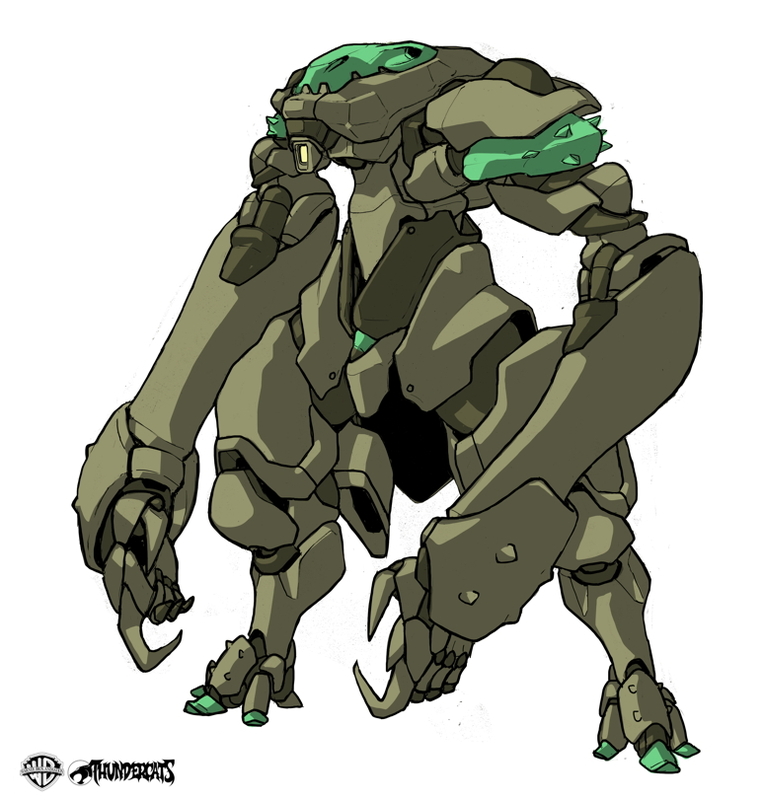 Here’s my concept art for the lizardman mecha that appears in the series. The show version ended up quite a bit chunkier though, as you can see. I’ll try to post some more stuff as they pop up in the series. It's obvious that the lizard-man mecha are YOURS, even with the obvious modifications on your design. 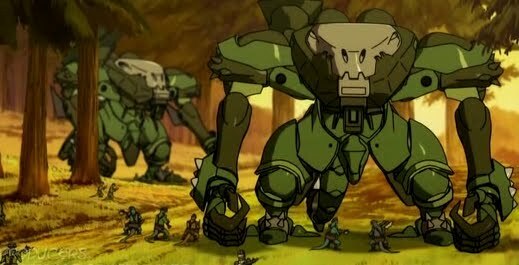 I'm watching Thundercats with a second pair of eyes - one for just watching the show, the other for looking out for your mecha designs! It's a thrill to see a buddy's work on TV! Hey there Newton, glad to see you drop in here (and by all means feel free to comment here anytime the blog will be picking up more and more). I assume you know it was Karl (genocidalpenguin) that worked on the show? He tried to pull me in to help out but Warner Brothers had a tight budget on the thing that only allowed for him on contract. Karl designed a lot more than he posted here so I hope he gets around to posting more (blogging not his thing LOL). I just added his sig to his post in case anyone was confused who posted it. I just saw the episode tonight. My first thought was, "hey, that looks like GenocidalPenguin's stuff!" A quick Google, and here you are. Great design.